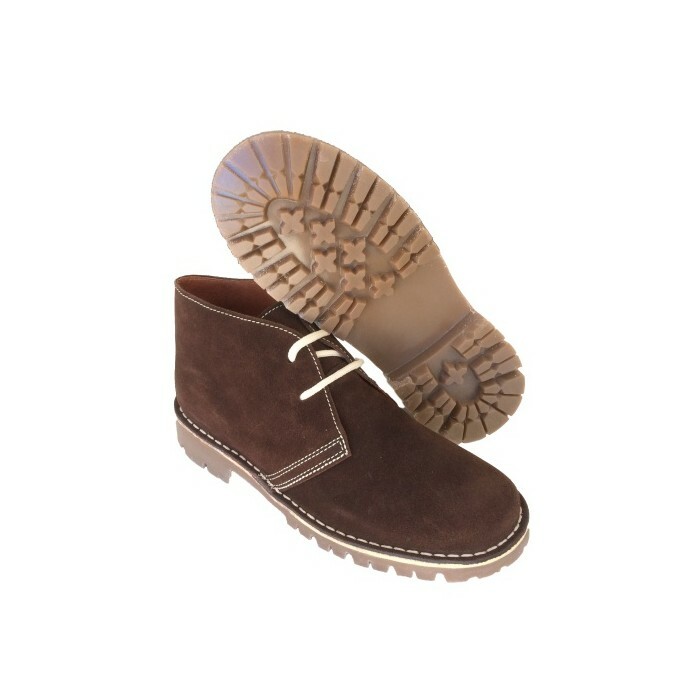 Desert boots for men in Brown color. 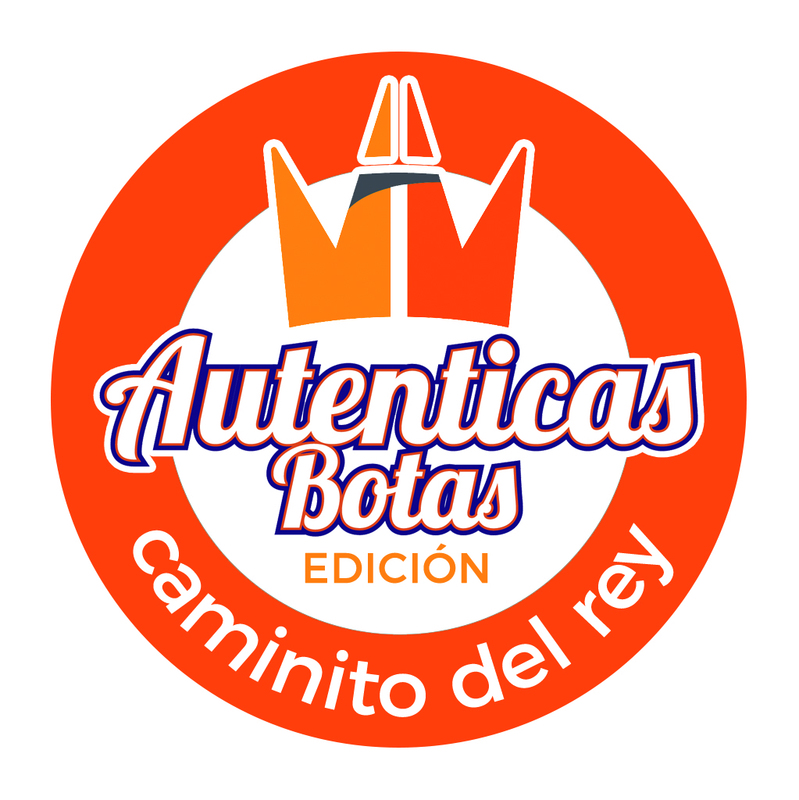 "Caminito del Rey" Edition. 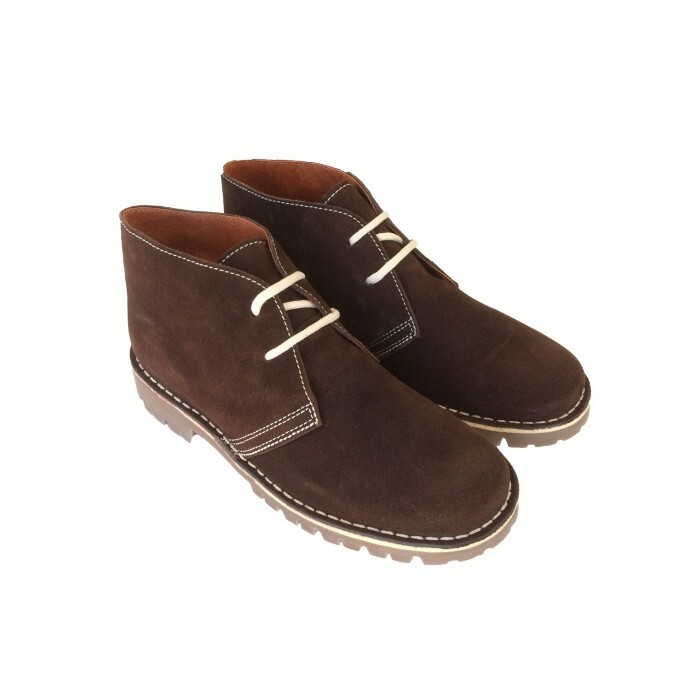 Men's dark brown desert boots from the "Caminito del Rey" collection. 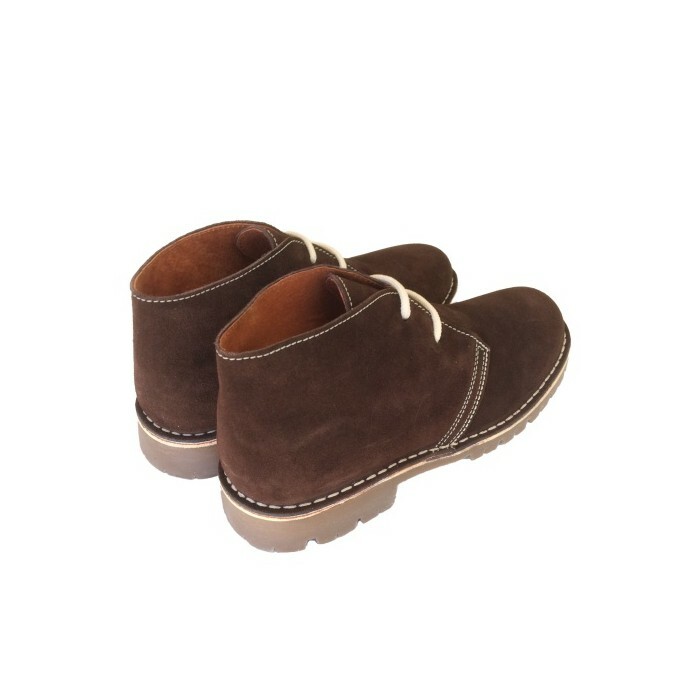 Made with a higher sole, special for those who love "Chukka" boots but want a plumper sole. These boots have been improved with a leather insole with a little padding, for a more pleasant footprint. 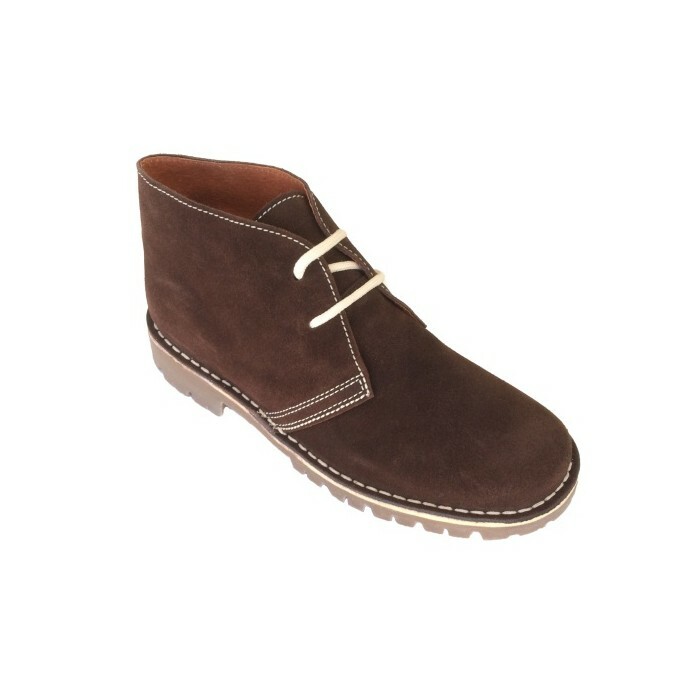 The suede used in these desert boots we use on all our models of AutenticasBotas. Of the best quality possible and with a perfect plush and excellent finishes. All are advantages with our boots, including the exclusive form.